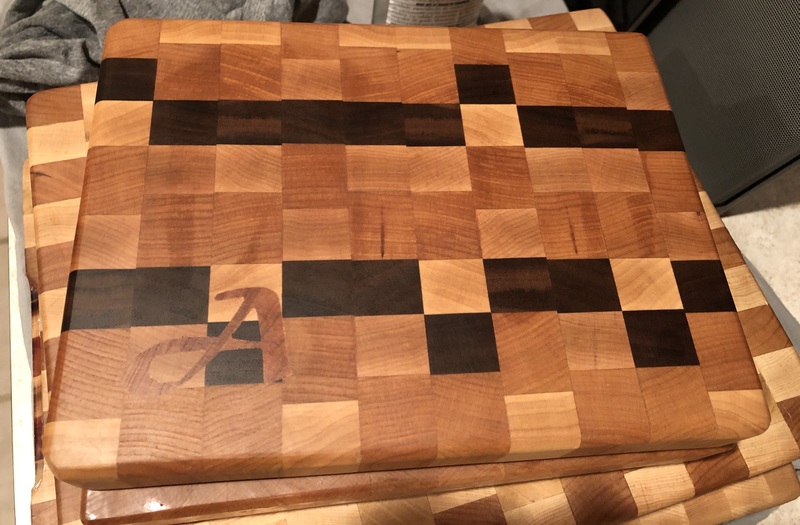 Inlaid cutting boards make nice Christmas presents. Four boards down, five more to go. Maple, walnut and cherry with a purpleheart inlay. The last five cutting boards. No more after this. Maple, cherry and walnut.